Eat Your City: Choklat Edmonton, AB Chocolate bean to bar, marshmallow, truffles and drinking chocolate! 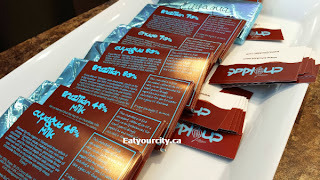 Choklat Edmonton, AB Chocolate bean to bar, marshmallow, truffles and drinking chocolate! 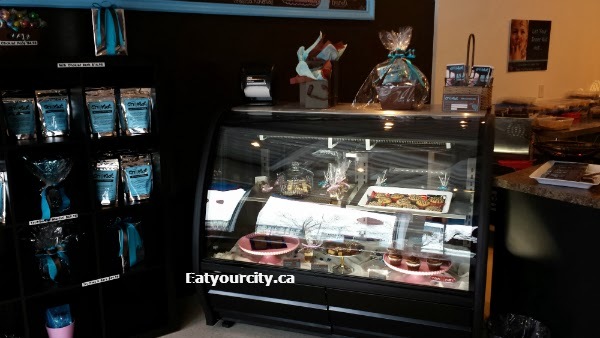 Posted by From its upstart start in Calgary, creating chocolate from bean to bar, Choklat has popped onto the Edmonton food scene a few months ago. 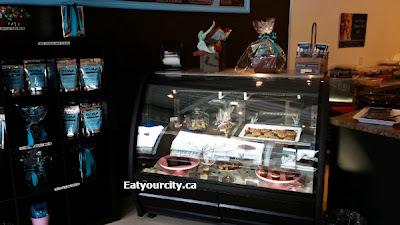 Offering bars of single bean chocolate they make in house in Calgary, truffles made from their house made award winning marshmallows dipped in chocolate and topped with countless toppings, as well as drinking chocolate... its no wonder you're hit with a heady chocolately sweet aroma as you enter the store. 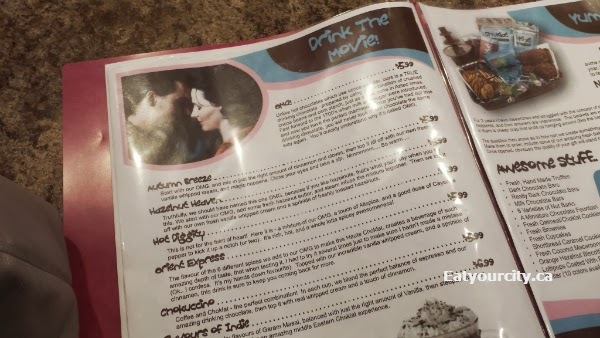 As well as a binder menu you can flip through to choose drinks and chocolate sets. 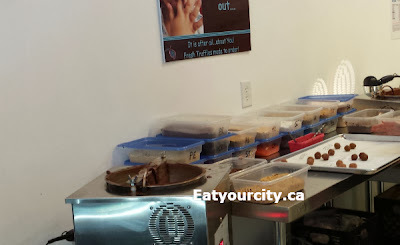 In the open prep area, you can watch as your custom truffles are made to order. It takes a little while, especially if there are others in front of you with big orders, so be patient! I was a bit surprised there were no pre-made truffles sitting prettily in the display case as most other chocolatiers do, but I came in to pick up a gift set for a friend's birthday, and ended up buying a few marshmallow truffles (super fluffy awesome!) to try - sorry no pics, and a Hazelnut Heaven chocolate sipping chocolate to go. 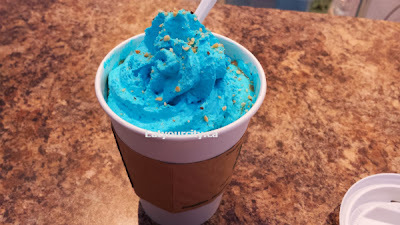 A generous scoop of hazelnut butter is added to the sipping chocolate... so it tasted almost too rich and heavy with the hazelnut butter overpowering everything until it cools down so you can actually taste the chocolate. Its topped with a toasted hazelnut bits and a radioactive blue vanilla flavored cream.. which while whimsical, the colouring was a bit startling. 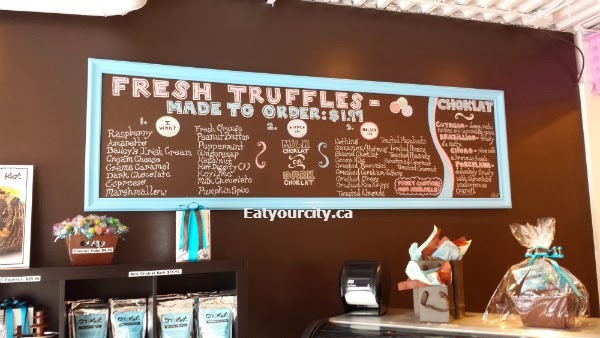 Its a nice chocolately addition to Whyte Ave... and I hope to see a gelato area and more boxed sets to come in the future.